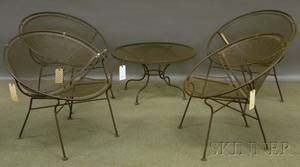 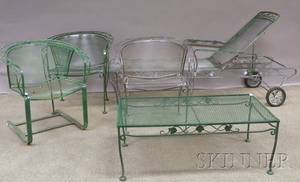 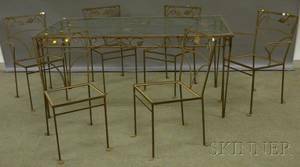 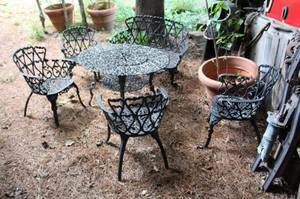 Openwork iron patio set includes a round table, four chairs and a love seat/bench. 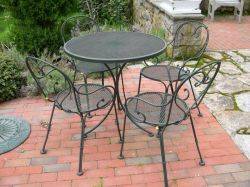 Quality patio furniture with a verdi gras patina. 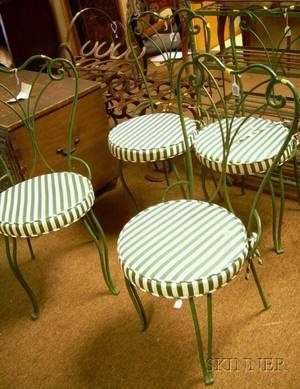 Decorated with scrolled foliate forms. 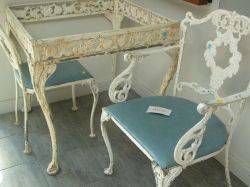 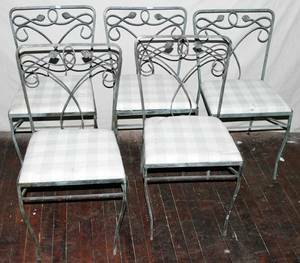 White Painted Metal Patio Table and a Set of Four Armchairs. 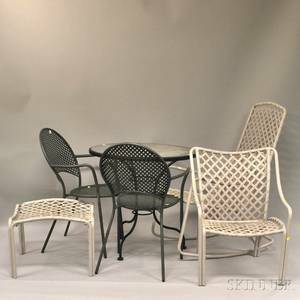 White Painted Cast Metal Patio Table and Set of Four Side Chairs.